In London, when visiting Starbucks with our kids, we always ordered the babyccino — a fancy name for (free!) frothed milk in a mini-coffee cup. Here in Atlanta, where we’ve been living for a year and a half, we discovered that Starbucks employees have not heard of the free cup of frothed milk for kids. They would gladly pour and froth milk for us, but it would come at a price. But now, thanks to a friend who is also a mom, and a frequent Starbucks visitor, we have discovered a new drink: water, with a splash of passion fruit tea. 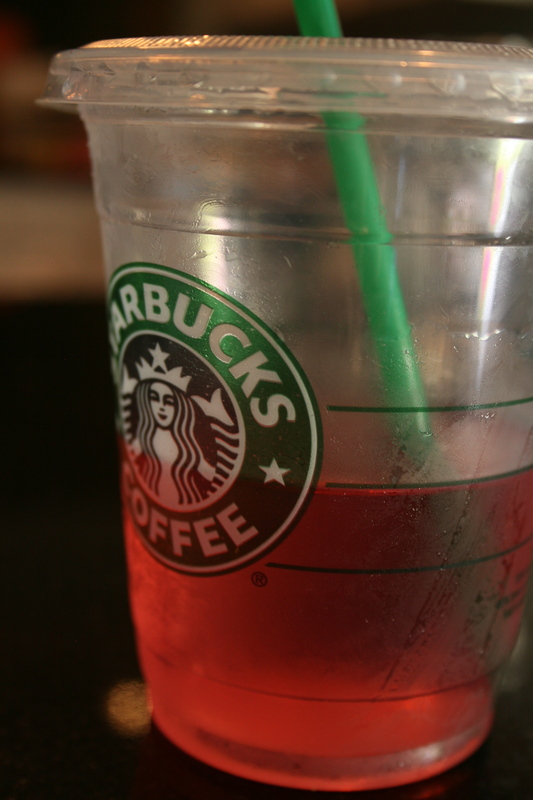 The lovely pink color will delight Starbucks fans with daughters. And sometimes, like the babyccino, it’s free. 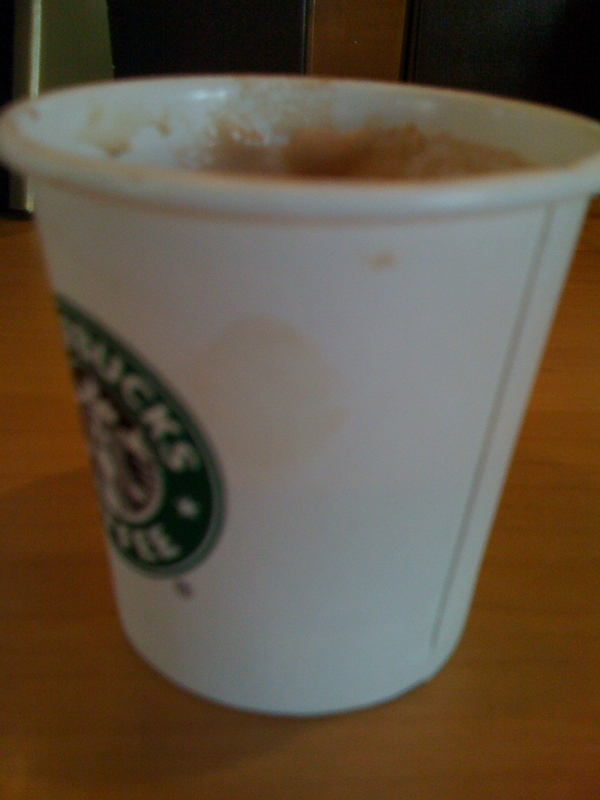 Starbucks stores across London offer a free drink that I have yet to come across here in the US: the Babyccino. If you’re with a baby, or even if you just say you are, the barista will froth up some milk in an espresso-sized cup for you. Then, you can sit down and drink your own coffee without feeling too guilty that you have dragged your son/daughter into a coffee shop that holds no interest for them. Minutes of fun await at the counter with the sugars and other toppings. Capping the Babyccino with alarming amounts of chocolate powder and cinnamon make the warm foamy milk even more enticing to the toddler set. When we moved to the US, I got blank stares when I ordered Babyccinos in Starbucks. After I explained what it was, the crews were happy to make it — but less obliging when I told them that in London, it was free (frothed milk comes at a price here). We even occasionally ordered more than one Babyccino on our London Starbucks visits, since they were, as I mentioned, free. So it’s possible, because of our abuse of the free frothed milk and powdered chocolate policies in the past, that they will start charging for the little warm milks in London Starbucks stores in the future. It’s also possible that our London neighborhood baristas weren’t heartbroken to hear we were moving to the US.